In 2014, baseball lost one its biggest stars as Hall of Fame player Tony Gwynn succumbed from salivary gland cancer. During his battle, Gwynn cited his smokeless dipping tobacco habit to the cancer which eventually took his life. He passed on June 16, 2014 after being admitted to the hospital the day before (Father’s Day). He was 54 years old. It wasn’t long there after that three time World Series champion Curt Schilling came forward about his own private battle he was going through with throat cancer. When he entered remission for his condition, he released a statement that day mentioning his cancer was a result of smokeless tobacco for 30 years. The time seems now more than ever to remove tobacco from the game and set a healthy example for children and protect the health of MLB players. Major League Baseball and its Players Association have shown no signs of banning the addictive substance which has prompted major cities and states to begin their own initiative. San Francisco, New York City, Boston and Los Angeles have put into effect laws prohibiting smokeless tobacco in the cities major league ball parks. Chicago has recently passed a similar ban. With California enacting a state wide ban beginning in 2017 and Toronto and Washington D.C. considering similar legislature, we could be looking at over a third of baseballs pro stadiums smokeless tobacco free by next season. To learn more about how you can get involved, visit http://tobaccofreebaseball.org. A cancer diagnosis is life changing, not only for the patient, but for their entire family and loved ones. Cancer involves abnormal cellular growth that can manifest as a tumor which can spread throughout the body. Cancer can affect many parts of the body and while genetics may play a role in those at risk, the disease is largely considered environmental. There are two types of tumors-benign and malignant. The former is not cancerous and not at risk of spreading. These once removed typically are not a risk of returning. The latter, however, is cancerous and is a risk to grow out of control and spread to other parts of the body and multiply. Depending on the severity of the cancer, radiation treatment, chemotherapy and surgery may be used to treat the patient. These options carry lasting side effects such as fatigue, nausea, vomiting, pain and bowel issues that can make normal day to day activities difficult. 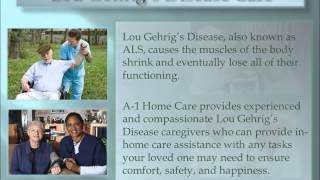 A-1 Home Care is the home care service provider of choice for all of Los Angeles AND Orange County. 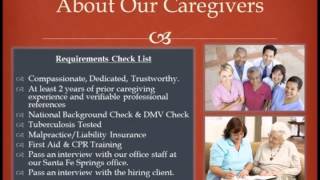 All of our cancer caregivers, nurse aids, companions and home helpers have at least two years of home caregiving experience, verifiable professional references, national background check, TB test, malpractice/liability insurance, first aid/cpr training, and a personal interview with office staff. No matter what your needs may be, we offer affordable, diverse, compassionate, quality in home care to suit any schedule or situation. Contact us today to learn more at (562) 929-8400 or (949) 650-380. MS is classified as an “immune-mediated” disorder. What that means is the system that is meant to keep our body healthy is mistakenly attacking parts of the body necessary for everyday function. Nerve cell coverings sustain damage which in turn inhibits full function of the brain and spinal cord. The exact cause of MS is still unknown. Nerve damage is caused by inflammation, but the cause of the inflammation is largely unknown. Scientists cite four factors as key contributors to the progression of the disease. Genetics- Heredity is a factor in the risk of MS and if a close relative has the condition thae chance is higher of the development of MS grows. Environmental- Scientists have seen a pattern of increased cases of MS in regions farther away from the equator. That means to say vitamin D could be a factor in the development of MS. Vitamin D strengthens the immune system and people who live nearer the equator are subject to higher volumes of sunlight and vitamin D.
Infections- There exists the possibility viruses and bacteria may be to blame for MS. These elements have shown to bring about inflammation and degeneration of myelin. Currently, measles, herpes (HHV-6) and Epstein-Barr (EBV) viruses are being reviewed for possible involvement in MS.
What can trigger MS symptoms? As of today, there is no cure for MS. There do exist treatment for managing symptoms. The most common is corticosteroids. This refers to a class of steroid hormones. In patients that do not see relief from the steroids, plasma exchange may be a viable option. This treatment refers to taking a portion of the blood (plasma) and separating it from blood cells. It is then mixed with a protein solution called albumin and returned to the body. If your loved one has MS, certain everyday tasks we think nothing of can become increasingly difficult and potentially dangerous. Mobility issues that may arise from the progression of the disease can make anything into a fall risk. 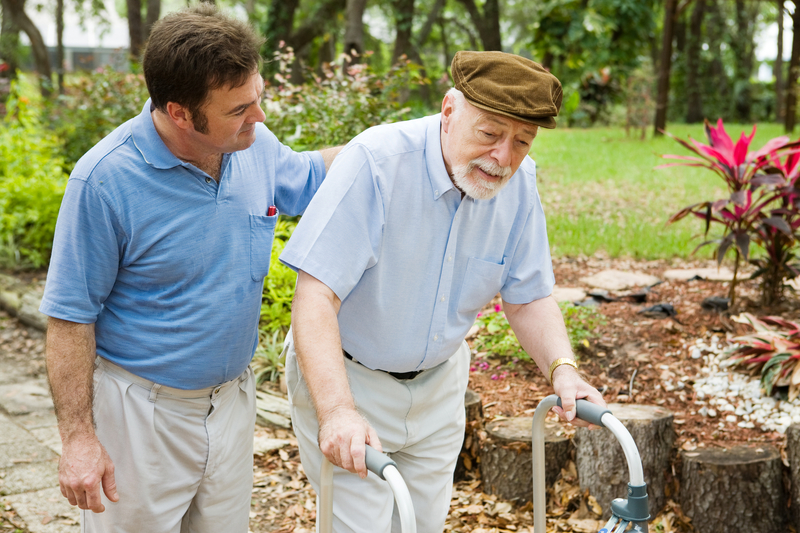 At A-1 Home Care, we understand Multiple Sclerosis and can assist with anything from showering and toileting to help with exercise and meal preparation. 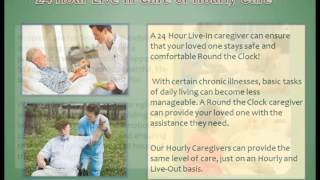 Our caregivers are available for 24Hour Live-In or Hourly basis. We know that MS symptoms vary person to person and will work with you to prepare a custom tailored care plan to ensure the needs of your loved one are met. We are available 7 days a week, 24 hours a day at (626) 287-0269 and (562) 929-8400. 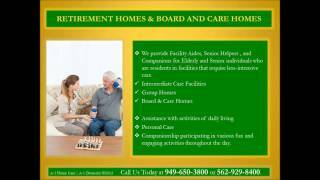 We are proud to deliver top shelf home care services to Sierra Madre, Pasadena, Glendale and surrounding communities. 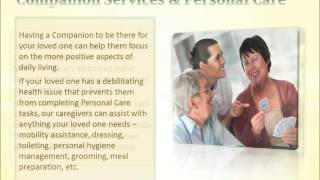 A-1 Home Care is the home care provider of choice for all of Los Angeles and Orange County. Parlez-vous français? Sprechen Sie deutsch? Parli italiano? Scientific studies show that the more languages you know, the better your chances are of having normal cognitive function after a stroke, according to the American Heart Association journal, Stroke. The study shows that bilingual patients “performed better than single language patients on attention, information retrieval and organization.” Not only does being bilingual or multilingual make you look smart, it also may delay the onset of Alzheimer’s, based on previous research results. “The advantage of bilingualism is that it makes people switch from one language to another, so while they inhibit one language, they activate another to communicate,” stated Suvarna Alladi, a neurology professor at Nizam’s Institute of Medical Sciences (NIMS). When it comes to providing elder care in Southern California’s diverse demographic regions, A-1 Home Care in San Gabriel is unique in having a culturally diverse pool of caregivers, many of whom have former nursing and educational backgrounds. 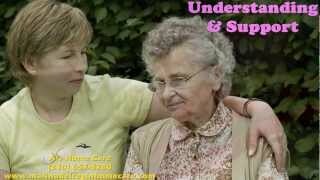 Before your elderly loved one suffers a stroke, if you suspect any signs of dementia or Alzheimer’s, it is highly important to hire an in-home caregiver who can provide not only assistance around the house, such as light housekeeping, meal preparation and transportation, but someone who could also bring a little extra to the table, like a lesson in the caregiver’s own native language. A-1 Home Care has a vast pool from which you can choose Filipino, Cambodian, Spanish, Middle Eastern, and other ethnic caregivers who live in San Gabriel Valley. Matching the right caregiver with your elderly loved one is important, which is why A-1 Home Care’s experienced care managers will link you with someone who will engage your loved one in stirring pleasant memories, creating emotional bonds with others, inspire positive self-expressions, and participate in activities that stimulate and promote intellectual growth. A-1 Home Care has been serving the communities of Arcadia, Sierra Madre, Alhambra, Temple City, Altadena, San Marino and other cities throughout San Gabriel Valley. Established in 1991, A-1 Home Care is a licensed, bonded and insured home care agency that recruits only the best of San Gabriel’s caregivers, certified nurse assistants, companion care aides, and certified home health aides. No matter where you live in Los Angeles or Orange County, we have a caregiver who lives in your area who is First-Aid/CPR-certified and prescreened. Affordable live-in and live-out caregiver services are available with easy financing options and reasonable payment plans. A-1 Home Care also accepts Veteran Benefits and long-term care insurance from providers such as John Hancock, MetLife Insurance and Penn Treaty. 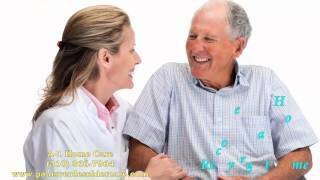 For quality senior care, call A-1 Home Care today (626) 287-0250 or visit our website http://www.sangabrielvalleyinhomecare.com/ for more information. We are all aware that Surgery can be painful and the recovery process may take long. Some surgeries require you to stay at home for a long period of time and this can disrupt your daily activities. One can no longer perform activities as they used to and therefore may need help in bathing, feeding, looking after their Children or pets, they may also need assistance running errands or might have trouble performing light housecleaning. 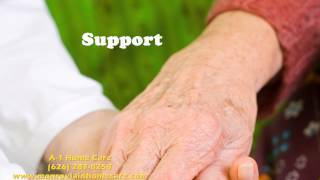 A-1 Home care can help by providing you or someone you know with a professional caregiver for your needs. Caregivers are CPR trained and can assist you with personal care. 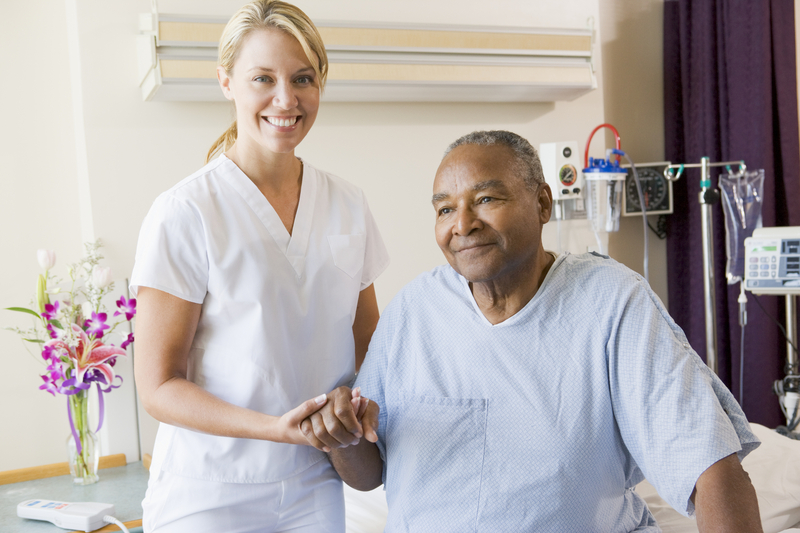 Regardless of the surgery, our Caregivers can assist you with your daily needs. 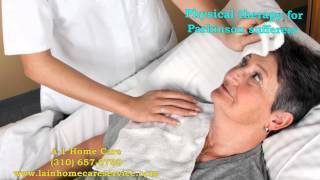 We have Live-In Home Care available as well hourly care. If you are stuck in the hospital and would like company, we can help by using our Companion Services and we can assign a Hospital Sitter so you won’t feel as lonely. 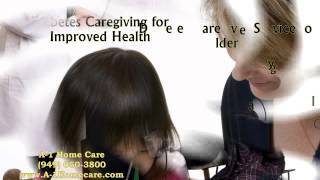 Aside from caregivers, A-1 Home Care has home helpers, nurse aides, companions that serve Altadena, Arcadia, City of Industry, Diamond Bar, Rowland Heights, San Dimas, and all other cities throughout San Gabriel Valley. Call us at 626-287-0250 for more information on surgery care near San Gabriel Valley.